In 2012, the Conservative government of Prime Minister Stephen Harper introduced two omnibus bills that included significant changes to the Fisheries Act, the Environmental Protection Act, and the Navigable Waters Protection Act. Bills C-38 and C-45—which were passed, at different times, that same year—were designed to eliminate protections for 8,500 rivers more than 2 million lakes across Canada. The Conservatives wanted to cut the red tape that had stalled or led to the cancellation of resource-extraction projects. However, for Indigenous people, that red tape was the process through which they could raise objections, seek accommodations, and gain a say in what was being done on their ancestral lands. The reaction to the omnibus bills was Idle No More, the protest movement that led to rallies, flash mobs, teach ins, and even blockades. Seventy kilometers north of Kenora, in Ontario’s Lake of the Woods region, among a series of rolling, densely forested hills between two lakes, is the Ojibway community of Grassy Narrows, or the Asubpeechoseewagong First Nation. It is home to about 1,000 people. As you travel north towards it, the lakes and rivers are crowded with pleasure craft, tourists and sportsmen. The closer you get, however, the sparser the pleasure-seekers get – until eventually you find a Chernobyl stillness heavy among the trees. Nobody wants to touch the waters around Grassy Narrows. Between 1962 and 1970, the Reed Paper company dumped more than 9,000kg of mercury into the Wabigoon and English river systems here. Slowly, that mercury poisoned the waters, and made the walleye – the cornerstone of the local fishing-based economy and the staple food of the local First Nations people – unsafe to eat. On 6 April 1970, shortly after detecting the spill, by then nearly a decade old, the Ontario provincial government closed the region’s fisheries and moved to cut off the source of mercury. The Trans Mountain pipeline debate has seen mainstream commentators and politicians in Canada position First Nations people with environmentalists and other “professional objectors” together on one side of the debate, with realists, job creators, and the national interest on the other. In effect, they pit First Nations issues and people against what they present as “serious” issues and people. Our Indigenous issues are seen as airy-fairy, theirs are about bread and butter. However, this week’s decision by the Federal Court of Appeal to revoke the licence for the Trans Mountain pipeline expansion, and the victory of the First Nations that launched the suit, show once again that mainstream Canada’s failure to treat First Nations issues as serious is itself what is most destructive to the national interest. Thursday’s court ruling declared that the government’s consultations with First Nations were nothing of the sort, but instead were mere “note-taking” sessions designed to tick a box in an approval process whose outcome had already been decided. Last week, on the same day a gunman opened fire on people along the Danforth in Toronto, Statistics Canada released crime numbers for 2017. The release was obviously overshadowed by the attack – and so went largely unnoticed. But digging through the numbers, we find that once again, Thunder Bay ranks as Canada’s murder capital with a rate of 5.8 murders per 100,000 people. Last year, I visited Thunder Bay to look at this issue – and saw that if anything, the reported murder rate is low. I looked at the case of Marlan Chookomolin – a 25-year old Native man, who was killed shortly before Canada Day 2017. The Thunder Bay Police Service haven’t ruled on his cause of death, and so his killing wasn’t part of the death toll reported to Statistics Canada’s. That isn’t an unusual situation in Thunder Bay, and is the reason for a provincial government investigation of the police service. But a year after his death, with these numbers reinforcing how dangerous the city is for Native people, I wanted to take a look back at the case. There have been developments since my visit to the city, which show the magnitude of the ongoing crisis there. June 25th, 2017 was a cool, overcast day in Thunder Bay. It was about 13 degrees with light showers off and on throughout the day. In the north end of the city there’s a small park with good tree cover where you can hang out in that kind of weather without getting too wet – the park is situated next to the Landmark Hotel which has the added benefit of having an LCBO liquor store in its lobby. On this June 25th, a 25-year old Anishinaabe man named Marlan Chookomolin met up with several friends near the Landmark – 2 men, 1 woman, all First Nations. Like a lot of people do in summer, they went to the park to hang out and have some drinks. Marlan’s family conducted their own investigation in to what happened next. I spoke about the investigation with several members of the Chookomolin family last year, and from those interviews, I end up with the following very rough approximation of the events of that day. This is not an official account, but a fictionalized version, with gaps filled in with speculation where need be. The other men were Shawn Smith and Peter Jones (not their real names). Like Marlan, Shawn and Peter loved wrestling – judging from their social media feeds, they had the sport in their blood. With a few drinks in them, they decided it would be fun to wrestle. The young woman there was named Miranda – and that is her real name. Maybe she was keeping up with them drink for drink, maybe she found watching a bunch of overgrown teens wrestle boring, but for whatever reason, early in the evening, her memory grew hazy, and she left the scene. The boys were seen by others in passing, play wrestling, maybe getting a bit rough with Shawn ‘spearing’ Marlan – spearing is a move when you double over and use your shoulder like a battering ram. This next part is a best guess, it’s based on what happened after, and from the reports of a woman who overheard Peter talking about it to his friends. The young men continued wrestling, drinking. Perhaps Marlan gets the wind knocked out of him and reacts, punching a little too hard. Maybe Shawn responds and it escalates into a real fight. They replicate the moves they’ve seen in wrestling matches on YouTube and PayPerView, but on regular people – not trained athletes – and the results are devastating. As the rain grows heavier, two young men flee the scene, the third remains, in a growing pool of blood on the park’s gravel walkway. Hours pass, night falls, and a man is walking through the park. He finds Marlan just barely alive. He calls the police. There are pointed questions about the man’s identity. The man presents himself as an innocent passerby to the police. They take his statement and release him. Marlan is taken to hospital. Safely away from the scene, Peter kept drinking, and was overheard by a woman named Kory, telling friends what he saw Shawn do. By coincidence, Kory had dated Marlan, and so the next day she went to Marlan’s family to tell them what she had heard. On that day, June 26th, Marlan’s family is still scrambling to assemble at hospital. Some are off on distant reserves and need to be flown in. The doctors have told them the damage is too extensive, that Marlan won’t live. As his family sits by his side, bruises begin to darken all over his swollen body. His cousin Joyce describes the scene: “there were so many bruises so many lacerations, it was like every 2 or 3 inches on his arms, his face … we also noticed the bruising around his neck, we found it very suspicious, there were fingernails around his neck, like a claw to his throat”. On June 27th Marlan is taken off of life support, and dies with his entire family at his bedside. When I visit the Chookomolin family in October, they tell me that Miranda is in hospital for undisclosed reasons. They tell me she wants to work with the family, and is desperate to remember what she saw happen to Marlan. The family asks police to put her under hypnosis, to pull out the full story. But, like with Kory, they run out of time. Miranda dies December 19th. She was 24 years old and a mother of 2 young boys. Her last facebook post is a photo of them, in a run down commercial area, seen from behind, holding hands. Peter, in the midst of all these deaths seems to turn his life around, and focus on his family. Shawn, on the other hand, went to ground. I tried to get in touch with him to ask questions for an article on Marlan, but every time I found him on a different social media channel, he closed the account or locked it down. I gave up and published my article on Marlan here in the Walrus. That article was titled: The Deadly Racism of Thunder Bay. Without the ability to interview Shawn, I had to leave out the family’s theory of the crime, and instead focus on the structural issues surrounding the police investigation of Marlan’s death. As of today, a year later, the police investigation appears to still be stalled, with no official statement on Marlan’s cause of death. A year after that summer get-together, of the 4 young Native people there, the 1 other roped in as a witness, of these 5 people, only 1 is left alive today. One died of an illness, the others were all murdered. If it had happened over 1 day, instead of 1 year, we’d be holding prayer vigils across the country. Around the time I was visiting Thunder Bay, there were in fact prayer vigils in nearly every city in Canada. These were for Tragically Hip lead singer, and semi-official interlocutor for First Nations people, Gord Downie, who died of cancer on October 17th. He had glioblastoma – that’s an aggressive brain tumor with a 1-year survival rate of 25%. By comparison, the 1 year survival rate for these 5 Native kids was 20% – deadlier even than cancer. Looking at all this death, you can’t draw any obvious conclusions from it, other than to say that a lot of things are wrong. Because it would have to take a lot for this amount of death to happen to one small group of young people over such a short period of time. People will say all of this death is due to racism, and yes that is a real thing, but racism isn’t an action, it’s a motivation for actions. But what number of different actions took place here that resulted in 4 out of these 5 young Native kids dying? It’s so big that it’s hard to understand. But while deadlier than cancer, it isn’t cancer – it’s public policy, which means voters, which means you. I don’t know why Kory was killed, or why Shawn was killed, but I do have a good idea why Marlan was in a place where he could be killed. Marlan wanted to go to college, but it is hard for a man with a last name like Chookomolin to get a job in that city to save up the money to make it happen. So to go to school, Marlan needed funding from his First Nation. However, three years after it was supposedly abolished, they are still suffering under the 2% funding cap. The 2% cap was imposed on First Nations by the Chretien regime in 1995, and limited growth in funding for First Nations programs to no more than 2% per year. With a rapidly growing population, this means that each year for the last 20 years, per capita funding for First Nations services has been cut. In spite of the vocal Native opposition, Canadian voters rewarded Chretien for these budget-cutting measures with majority victories in the 1997, and 2000 elections. Because of the cap, the funding that Marlan needed to go to school wasn’t there, and he had to wait 2 years before any was available. That money finally came in, and Marlan was due to begin his studies in September. 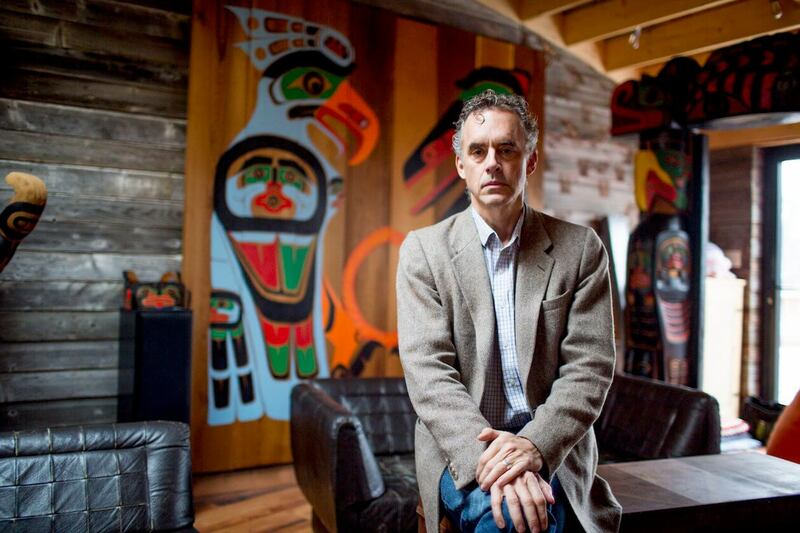 You say “Peterson claims that he has been inducted into ‘the coastal Pacific Kwakwaka’wakw tribe’ Just what do you mean by “claims” you peddler of nasty, underhanded innuendo, you dealer in lies and halftruths? Peterson’s connections to the Kwakwaka’wakw people derive from his friendship and traditional bonds with the family of Charles Joseph, an accomplished Kwakwaka’wakw carver from Ma’amtaglia-Tlowitsis tribe. Earlier this year, I spoke to Charles Joseph—who confirms that Peterson is not a member of the Kwakwaka’wakw people nor the Ma’amtaglia-Tlowitsis tribe. When in the course of inconsequential events it becomes expedient for one person to delete the social media profile that has connected them to a large group of other people, a decent respect to the opinions of those readers requires that they should declare the causes which impel them to the separation. Well, ‘requires’ might be a bit strong. I recently deleted my twitter account – but I’ve not deleted my account forever. Just for now, and for the next while. I didn’t delete it because of right wing harassment. It’s more this – when you get a twitter dm, and you have the app installed on your phone, your phone vibrates when the message is received. Shouldn’t you be at least a little discriminating about who can make your pants vibrate? I’ve not been. And as a consequence a lot of people have been able to send me messages, privately, subtweet about me, send me facebook messages, voicemail even – and a certain percentage of that is really critical. And I’m OK with most of the criticism and the attacks and the loser hatemongers. If you only knew how thoroughly soul crushing a Walrus editing session is. US special forces are trained to withstand torture by being tortured during their training – waterboarded, sleep deprivation, all that. The point of it being that if they’ve been through torture, they can be better prepared for it, and last a little longer. Walrus editing is like that. Which isn’t a criticism of Walrus editing mind you, it’s a feature of it. But there’s nothing that Christie Blatchford can say that’s quite as brutal as seeing 4 of 5 paragraphs deleted in editing. So those critics I can handle. It’s the other critics that get to me. It’s the people saying that I’m taking up too much space, centering myself too much, saying I’m too full of myself, that I should be careful how I speak, that I shouldn’t try and rep anyone, or write on other FNs, the Metis, the Inuit. The criticism stings, because it’s feeding into something I’m already worried about. I turn down a lot of stuff, to keep my small niche over here, I avoid speaking about Native politics as much as possible, and try to focus on a couple issues I know. In my writing lately I’ve cut myself back to only writing when I can contribute new information, not just opinion (with 1 exception), but new info. So when I hear that criticism, it carries some extra weight, and makes me reluctant to write, makes me question what I’m writing or working on. A strain within that criticism is also telling me that I’m too soft on things. Too bland, and compromising. I don’t accept that. But it does stay with me when I’m writing. Chirping away, making me think about punching up the text a bit. But that’s not writing, that’s performing. I see myself as a didactic writer. And when I sound harsh, it’s a tool I’m using to make a point that can’t be made another way. But it’s not angry for the sake of angry – angry as ‘venting’. Besides all that, there’s the baseline awfulness behind the concept of social media more generally. With Twitter, the retweets, and likes are addictive. And when your phone chimes with more, it’s like Pavlov’s bell – feeding the addiction. Naturally you make a connection between which tweets get more feedback, which get less – and you change the way you tweet in order to keep the bell ringing. I’m thinking too much about the response, and not enough about what I’m trying to produce.Twitter is making me evolve as a writer in a way that is maladapted to the type of writing I want to do. It’s an island ecology, and those produce stunted, runt animals that don’t have the robustness needed to win over the 90% of people who live in the real world. Most writers on there became who they were as writers before going to Twitter, so it doesn’t affect them as much. But that’s not the case for me, and so I can try and work with it, or I can leave the room and shut the door. My mother was just here for a visit – that’s us at the top of 30 Rock. I’ve got a couple talks I’m preparing for. I’ve got a big interview that I’m reading up to prepare for. I’m taking a last shot at this summer article – and I hope to have another piece out in April. That’s what I’m doing for the foreseeable future. I’ll likely eventually return to Twitter – if you want to write, you can’t avoid it. But it bugs me that people talk about me like I’ve been harassed offline, or need some time to recuperate, or are in some way damaged. If you want to feel why I’ve gone offline, really – take a bus a 1am on St Patrick’s Day. If you say – ‘screw this’ – get off the bus and walk, that’s not you being broken, that’s you avoiding a headache.